Never avoid something new because it’s scary. I went back to school at the ripe old age of (cough), well let’s just say I easily could be mom to most of these kids. It WAS scary but so MUCH FUN! I now have my 3D Modeling and Animation Certificate and am loving it. SAC recently interviewed me as an important part of their demographic, “the returning student”. The fun thing is that they stuck my face on their homepage. Check out http://www.sac.edu. (Santa Ana College), on the first page, the main picture on the front. On the bottom right of that picture are page numbers. If you go to page 3 and wait for 4 seconds, my face pops up. If you click on my picture when it pops up, it takes you to a write up and one of the paragraphs is my mini-interview. Huh….who would’ve thought? Previous PostFairy Door Decor, just the right touch. 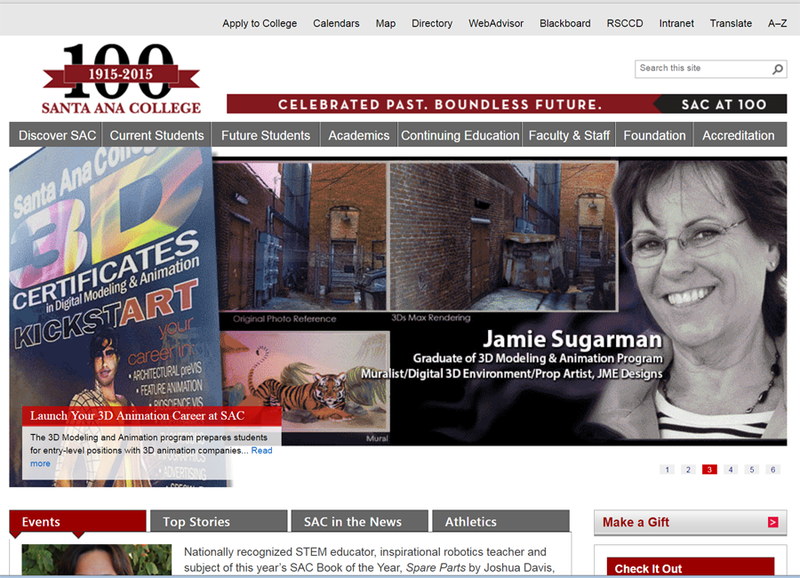 Jaime, congrats on the cover picture for SAC. thank you. Sorry, do I know you?